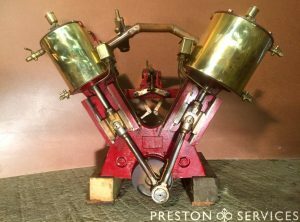 Very unusual 200 H.P. 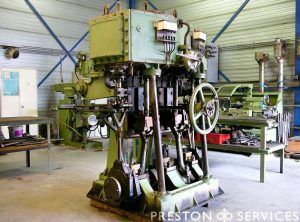 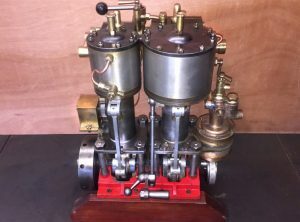 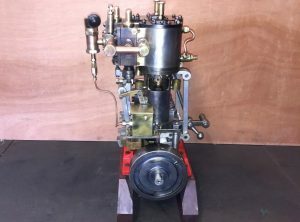 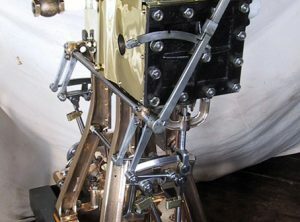 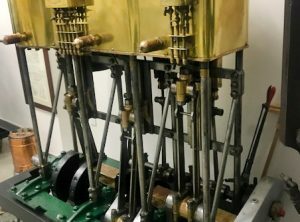 3 cylinder “V:” marine steam engine. 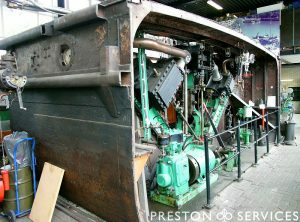 For sale complete with all its auxiliaries, within a sectioned hull for display, fully restored to a very high standard. 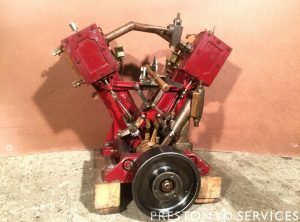 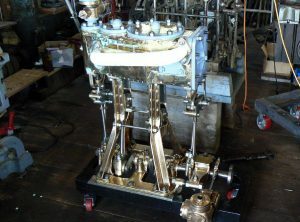 A small compound marine engine. 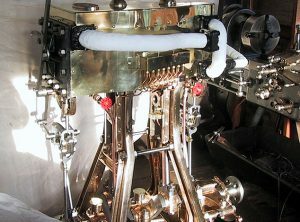 Only a few examples of Herreshoff engines are know to exist. 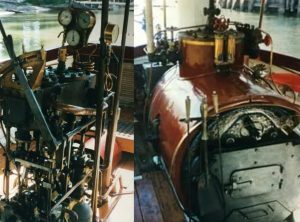 These impressive and elegant engines powered vessels owned by the Vanderbilt, Dupont and J.P. Morgan families, amongst others as well as the Torpedo boats of the US Navy. 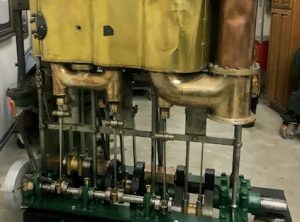 A superb example, this engine was custom built for the Steam Yacht NINA, for John Jacob Astor VI. 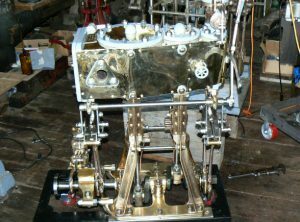 It represents the pinnacle of American marine steam engine design and the internationally recognised maker Natheriel Herreshoff. 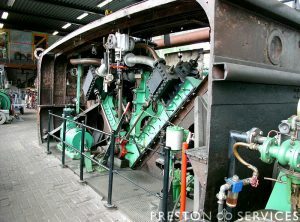 For sale in good unrestored condition. 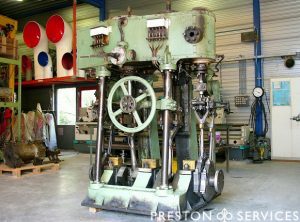 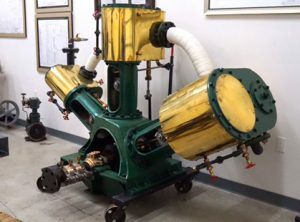 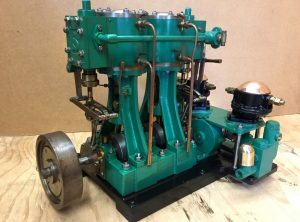 Built 1898, this is an 18.6 HP marine engine from a small US Navy vessel. 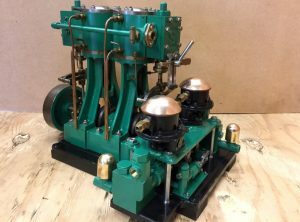 Fully restored​ and for sale in excellent condition. 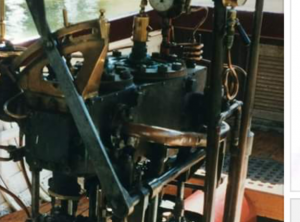 Complete with boiler feed and air pumps, etc. 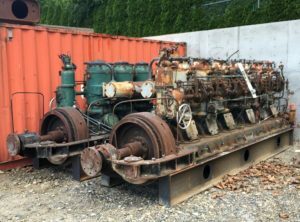 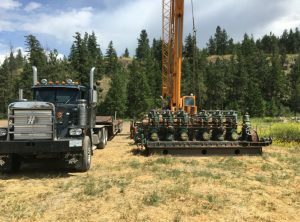 A well made plant, unused and ready to install.